Fire Rock Casino, Gallup, New Mexico chose the Build-A-Bike and Creating a Team Culture events to build cooperation and effective communication among its employees. They found exactly what they were looking for at Leader’s Institute. Sandi Tobey was in charge of requesting the Build-A-Bike and Creating a Team Culture, both of which proved to be enlightening and exciting experience for her staff of accountants. The Build a Bike event was the first of the two day team building events. The group was not sure what they were in for as they were split into teams by a fun team exercise in which they had to scurry around the room like a modern version of musical chairs. The participants had to run around the circle upon answering some fun questions then land back into position in order to not be the last man out. This was fun and energizing for the participants as you could see their competitive nature come into play. When the teams were formed, the Build-A-Bike fun began as the teams raced to create their team cheer and team flags. After their exciting performances to be voted the most creative team, more fun began when they were tasked with solving clues to come up with answers to obtain the bike parts necessary to complete a bike. 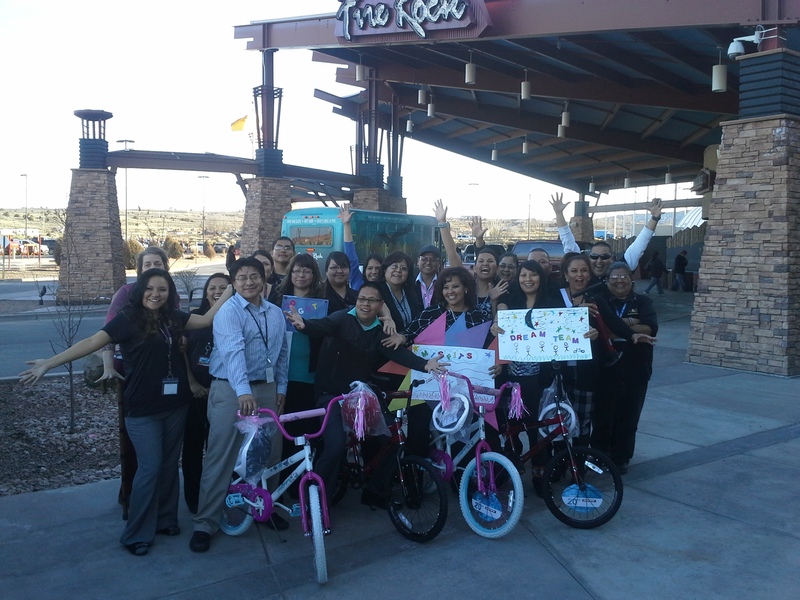 The groups got real competitive, but realized that in order to be successful to answer the clues they had to cooperate with the other teams.The satisfaction of completing the bikes and giving to a local charity proved rewarding for the employees at the Fire Rock Casino. After they had experienced the rigorous Build-A-Bike event the day before, the group at the Casino spent an enriching day with the Creating a Team Culture event. The group was tasked with exercises and activities that proved to be revealing of their current habits and showed them more successful techniques of dealing more effectively with each other. Fun classroom team building is a fantastic way to generate a “behavior change” and build teamwork in a group of coworkers. If your company is looking for fun team events to boost your productivity and team cooperation with fun team events and a charity component, the Leaders Institute has many programs that will provide a positive and energetic learning experience.